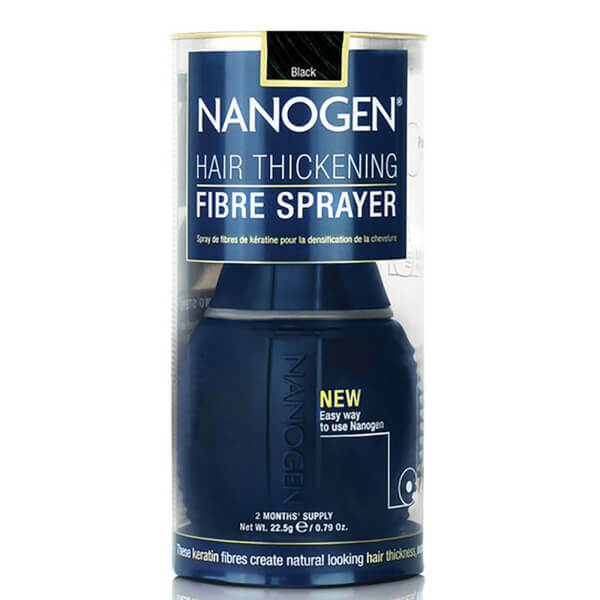 The Nanogen Fibre Sprayer creates a maximum hair thickening effect for an instantly fuller appearance. Suitable for any hair type, any gender and even the most sensitive scalps, the sprayer contains pure keratin which has exactly the same density and feel as natural hair to prevent irritation. With a patented Kinetic™ technology metal strip, the jar loads hair thickening fibres with 400% more electrostatic charge for stronger binding to the hair, delivering long-lasting results even through wind, rain and perspiration. 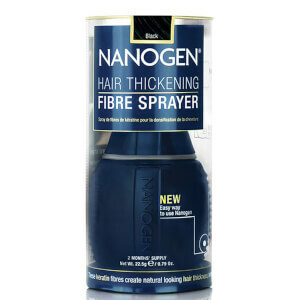 Creates a dipolar charge to ensure the fibres branch out for voluminous, luscious locks. Ideal for partings or visible crowns, the sprayer features a slim nozzle for a precise and mess-free application, whilst the secure slide lock is ideal for travelling. The unique Colour Locking technology means Nanogen fibres will not leak dye onto your skin, so you can wear them with confidence. E.N. Direct the nozzle to where you want thick hair and lightly squeeze the bulb to dispense the hair thickening fibres. Keep the sprayer approximately 10cm away from hair. A little shake may be be required in between dispenses to keep a continuous flow. Use intuitively - squeezing harder for a larger dosage or very gently for a light application. Gently blend the fibres with your fingers.